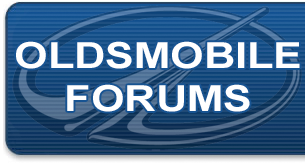 Oldsmobile Forum: What song do you usually listen to while driving in your Oldsmobile? No one here has asked yet, so I made this new thread to ask my fellow Oldsmobile lovers, what tune do you listen to when cruising to the sunset? Feel free to share your insight. Last edited by RamaRamone; July 10th, 2017 at 01:54 AM. I was riding out today while listening to Starship's "Knee Deep in the Hoopla" album. One song that got stuck in my head is "We Built This City." I may now call it my perk-up song. Want to listen rap in order to keep me enjoying my ride. I crank up Springsteen and enjoy my ride. All I need. Last edited by 1970cs; October 13th, 2017 at 09:12 PM.